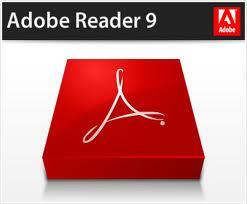 Do you daily use Adobe reader and face slow opening process. Actually many of us having the same problem. Problem is ok but isn't there any solution for this???? Go to the installation folder of acrobat reader (C:\ program files\ adobe\reader9.0) or (C:\program files\adobe\reader) whatever. Move all the files and folders from the “plug_ins” folder to the “Optional” folder. Also make sure that acrobat reader is not open else it will lock the files and not allow you to move the files. The Reader may configure itself once again for the first time you open it. It will just restore the most important files back to “plug_ins” folder. Now your acrobat reader will load very fast.